I went to Prague looking for castles and old churches, and along the way I stumbled (there are a lot of cobblestones, and discovered a treasure of resale shops. Emmy award-winning TV journalist and philanthropist telling stories and doing a little good along the way. I like to think of myself as a seasoned second hand shopper. 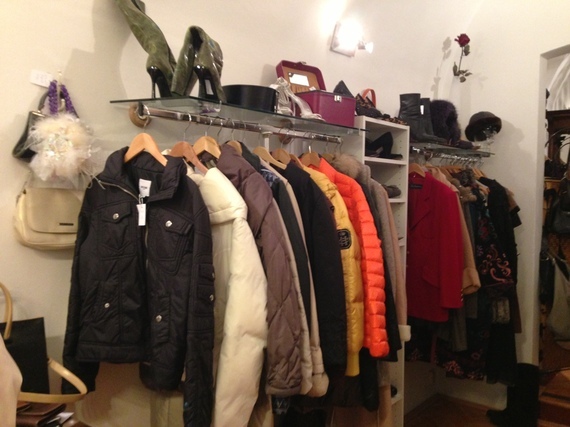 I have picked through the racks of the best designer consignment shops in Paris, Rome and Tokyo. Whenever I am in New York, I always sneak in a visit to the doyenne's of resale at Michael's and Encore. In Los Angeles where I live, Haute Seconds and ShopHers in Santa Monica are my guilty pleasures. 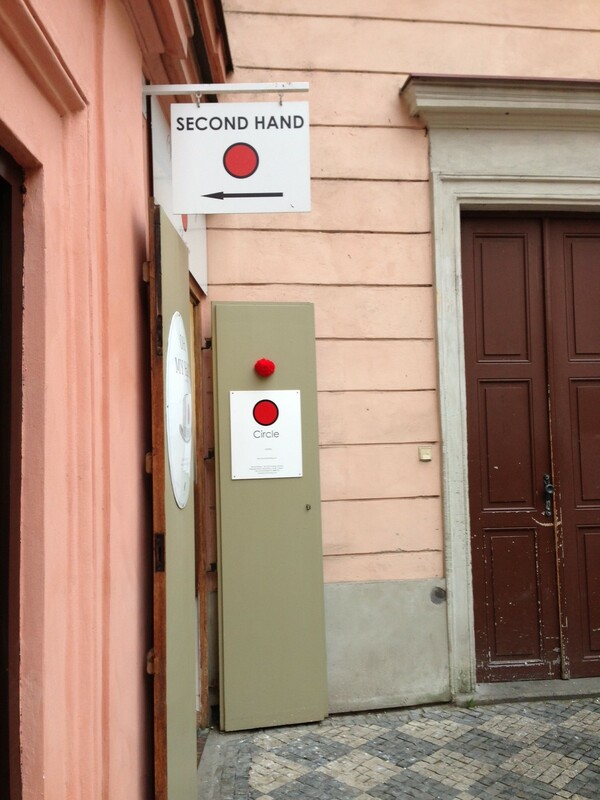 So excuse me beautiful women of the Czech Republic, I had no idea you were so fashion forward and thrifty. It never occurred to me you might have consignment shops in a country not so long ago dominated by the drab dress of the former Soviet Union. So, as I navigated those historic but pesky cobblestone streets in my Tod's snow boots, it was a Gucci purse in a store window selling something other than Czech crystal that caught my eye. I wasn't alone. A Japanese woman in front of me nearly dropped her map when she spotted the same store window. I knew I was on to something. Inside the 2nd Chance Boutique, were lots of brands I didn't recognize, but I sure knew Dior and Escada. Also hanging on the racks of this nicely appointed shop were Thakoon and Maison Martin Margiela. Apparently when the Berlin Wall fell, so did the communist style of dress. Prices you ask? 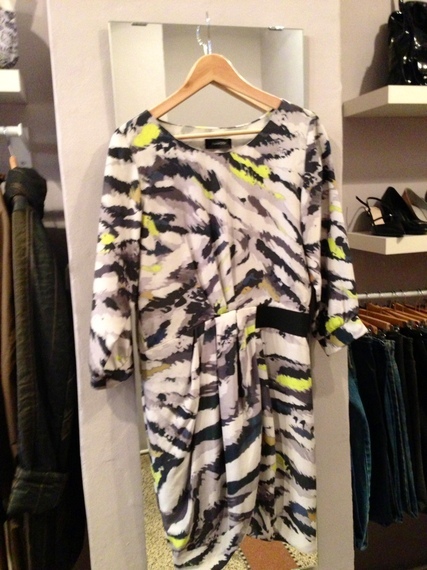 The silk Thakoon dress was 4,600 Czech koruna. Which is about $200 US. The Margiela jacket was 2,200 koruna which is about $ 95 US. Was this an aberration, an outlier of fashion in Prague? No. Turns out this is one of four designer consignment shops within a two block radius. 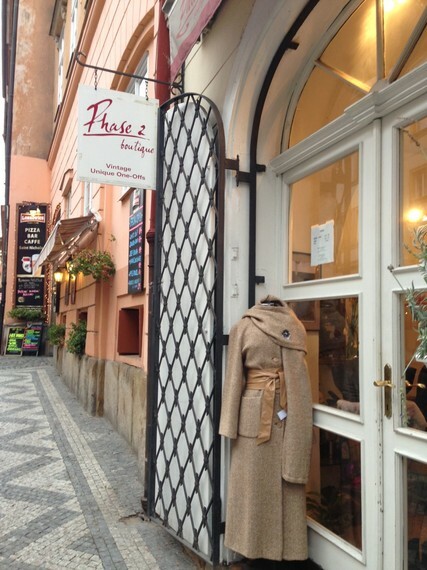 Diagonally across, on Trziste Street, I found Phase 2 Boutique. This shop had twice as much stuff plus furs. Here I found an Ann Demeulemeester chinchilla jacket for about $500. Yes a steal, and no I didn't buy it. It was enormous on me. 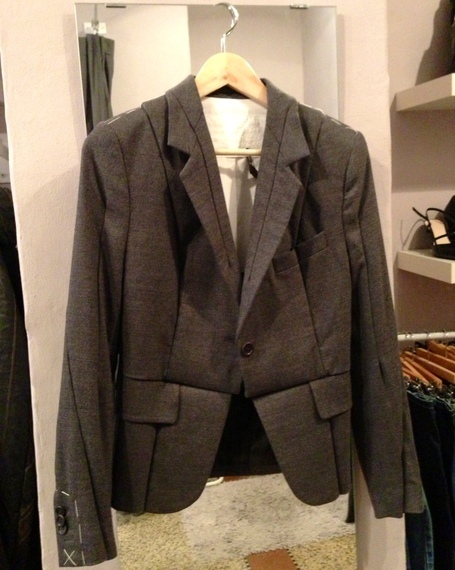 Though most of what's for sale is used, the clothes I saw were in really good shape, and mixed in with new items. Negotiating prices is tough because shop owners seem unwilling to bargain, and they don't speak much English. Some shops accept cash only, but they do take U.S. dollars. Prague has a lot of great shopping, all the luxury boutiques and all the major European chain stores. And now you can add emerging high end consignment stores. I don't suggest you shortchange your trip of the magical sites in Prague, but I do recommend you weave in a few minutes of fashion treasure hunting. These three stores are within a few blocks of each other not far from St Nicholas Church on the Prague Castle side of the Charles Bridge. Trust me, those directions will make more sense when you get there.